Shown is just 1 coat of Britney Spearmint over my Zoya Neely mani. While this is a very me color there was a bit of frosty/pearly-ness to the finish that I just didn't like. It is hard to see in the photos but was much more noticeable in person. With that said I did end up rehoming it immediately after trying it. I just know it was one that I wouldn't wear again and I would rather see someone else get to enjoy it. This is a lovely color but I have so many other mint holos that I simply adore! 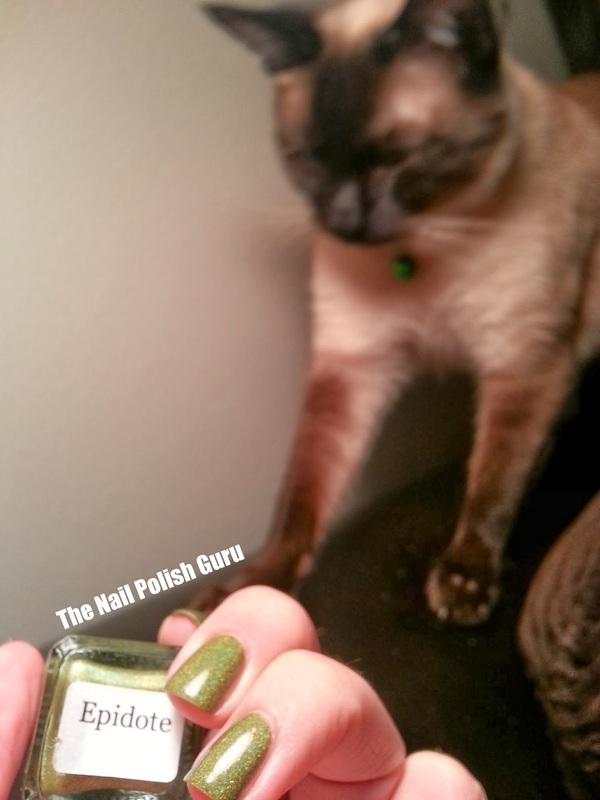 Shown is 2 coats of Epidote over Duri Rejuvacote and topped with HK Girl. Application was great and I can't wait to try out more of them! I love the holo even though it isn't as strong as some of the others I have posted lately. I really like this color, it is definitely unique in my collection!